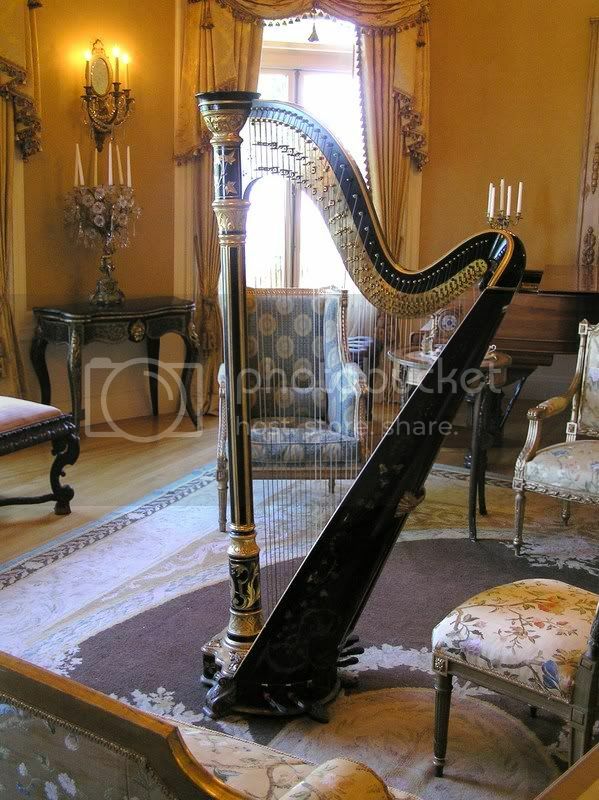 This harp resides at the Pittock Mansion, Portland, Oregon. It is similar to Harp#501 c.1889 that appears on page 64 of John Teagles Washburn book. That is a beautiful work of art. Wonder what something like that goes for? 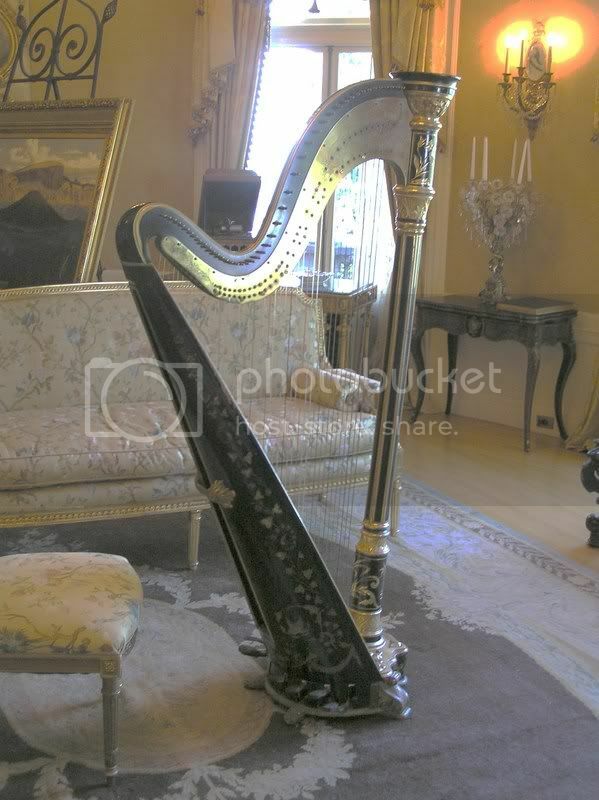 Did you know that the harp is the only common musical instrument around that can trace it's roots to a European beginning? Yep, that's right. I got some fiddles, some guitars, a bouzouki, a piano and some other stuff. 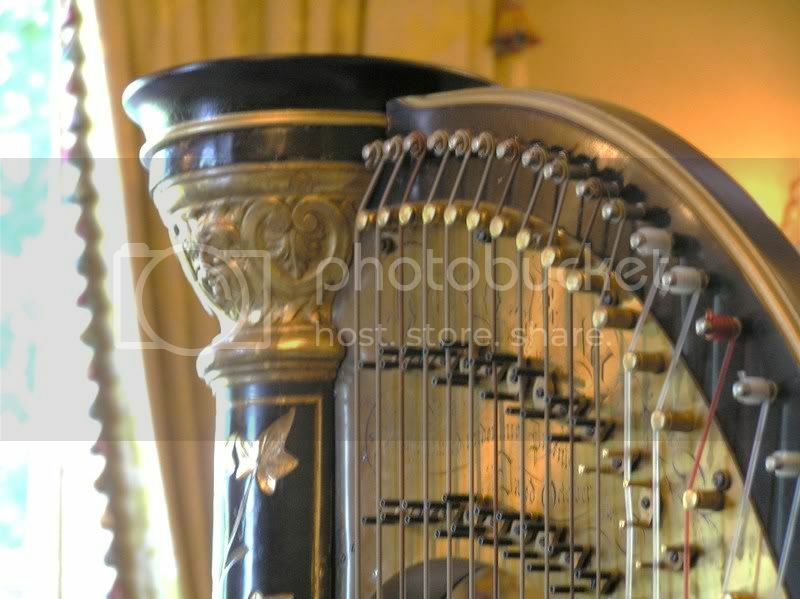 Did you know that the harp is the only common musical instrument around that can trace it's roots to a European beginning? Yep, that's right. Yes, I do remember Shiner, didn't recall his name though. Hey guys, do I repeat myself a lot? I hope not to very much. Sorry. Heh, heh, to be honest Quinn I still think of you as a newcomer. It's hard to believe you've been on the forum almost two years now. It doesn't seem like two years to me either, seems like maybe a year, if that much. Tempus fugit when it's all fun.